Start the day off right with these yummy recipes. Sandwiches are fine, but why not try something a little different? Gather around the table and enjoy these family meals. True fact: kids love to snack. Here are some special treats. These snacks are a healthy alternative to cookies and sweets. These kid-friendly recipes will satisfy any sweet tooth. Slurp up these delicious drink recipes! 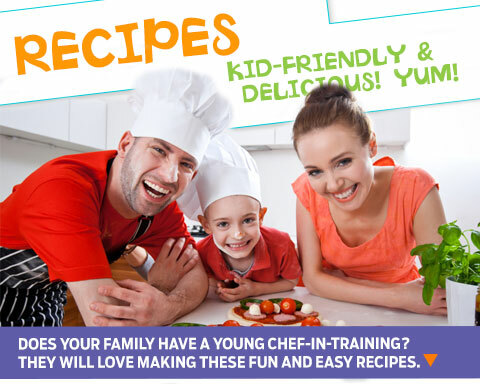 The holidays are a great time to cook with the kids. Make a special batch of biscuits for your furry friends!